Stage West is celebrating its 40th year!! Our Education department is looking back and moving forward in celebration of this milestone anniversary. Our goal is to provide an experience of fun and creativity while learning the art of theater! We infuse all of our classes with acting techniques from a variety of sources. For Adults, ages 16 and up. Do you know what to expect on a film set? What is the difference between acting on stage vs acting for the camera? What are techniques for auditioning for commercials or film? What's the difference in auditioning with an actor or with a reader? What is it like to film a scene with multiple takes? Gregory Beck, film director and owner of Two Trees Productions, will answer all of your questions about what to expect on the set of a film. Linda Leonard, local actress on stage and in film, will teach the basic concepts of acting on camera. Beth Bando Bontley, Education Director at Stage West Theatre, will share techniques to support your acting skills. We will lead you through a commercial and film audition. Gregory will film you in a multiple take scene. Come join our 4 session pilot program! Leave equipped with knowledge that will last a lifetime in your acting career. Special Pilot Program fee: $160, plus a $15 admin fee, payable in two monthly payments. • If you have taken a Fall or Spring class at Stage West, receive a $50 discount. • Gregory will offer a 2-look photo shoot, delivered digitally, for only $50. Week 3: Auditioning: with a reader, with another actor, plus tips on filming your own taped auditions. Week 4: We will film a short scene, with multiple takes and reaction shots. In addition, Gregory will offer a 2 look photo shoot, delivered digitally, for only $50.00. Learn a rehearsal & performance system and the art of creating unique characters. Using the ideas and techniques from Foundation 1, students will work on scenes and monologues while studying the more advanced ideas in Foundation 2. Want to learn basic acting skills and vocabulary to enhance your theatrical experiences? Come enjoy a fun-filled environment for re-visiting old skills or building new ones, with plenty of growth, stimulation and camaraderie for all! The focus for this semester is the Meisner approach with a bit of Chekhov thrown in the mix! An Actor Prepares! And we want to help you be prepared for annual area generals, college auditions and auditioning in general. This class is for pro-active actors, both new and veteran, who wish to prep and polish audition skills and knowledge. Students will receive assistance in selecting material and be coached by Stage West faculty during the 4 week class. The monologues will be seen by Stage West producers /staff directors. In this 2-Saturday workshop students will learn through theater games, exercises and “scene work” in a fun and supportive environment. We will develop skills in listening, teamwork, creativity, and spontaneity. The 2 days of improv training will culminate in a "Night at the Stage West Improv" show for family and friends. Please choose the discount that works best for your situation. Offers may not be combined. For Stage West Theater Subscribers/Season Pass holders: $10 off per class. Each additional family member or sibling gets 10% off the full-priced first member. Beth has honed her skills over the decades in all areas of theater. She has acted extensively in NYC and in Boston, where she established her first acting studio. Locally she has performed with Echo, Theater 3, Circle, Runway and Artisan Theaters. She has taught at TCU, TCC, STAGE, Dallas Summer Musicals, Dallas Children’s Theater and Kids Who Care. Beth earned her BA in Speech and Drama at Trinity University; completed the two year conservatory at Circle in the Square in NYC; and earned her MFA in Interdisciplinary Arts from Goddard College. Her original one woman show, ‘Acet-o-philous or Vinegar Love’ has been performed at Arts 5th Ave, the United Solo Festival in NYC and the Ft. Worth Fringe. She is also an author and a speaker, devoted to personal and artistic growth. 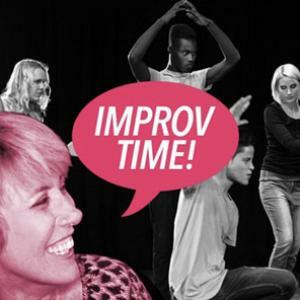 Allison has been performing and teaching Improv for over 20 years. She has performed and trained with The Groundlings in L.A., The Second City in Chicago and Gotham City Improv in NYC. She has taught Improv at The Comedy Store in L.A. and led numerous improvisational workshops for corporations, schools and universities. She has appeared in many national television commercials and on HBO's improvised hit comedy "Curb Your Enthusiasm." Allison teaches Improv within the Keller ISD and currently directs the Keller High School Indian Improv Troupe and the all-kid Minor Trouble Improv Co.
She is delighted to be working at Stage West! Michael Muller is happy to be joining Stage West as a member of the education team. He has appeared in over 70 productions across the metroplex with performances at Stage West as well as Amphibian Productions, Jubilee Theatre, Circle Theatre, Dallas Theatre Centre, Casa Manana, Theatre Three, Fort Worth's Shakespeare in the Park . He also worked as Production Manager for The Dallas Shakespeare Festival for 3 years, Producing Director for Shakespeare in the Park for 7 years, and as Producer and Director for about 35 National Tours. He also has taught acting for about 20 years, most recently at Paschal High School .